May 5 2017. NEWPORT BEACH/COSTA MESA CA. Earlier in the week it looked like there would be a chance of rain during the race but now the forecast is for low 50's temperatures, partly cloudy skies and moderate winds of 7-8mph. The race starts at 6:15 AM in Newport Beach in front of the Newport Beach Marriott Hotel and Spa, proceeds down to the oceanfront and through Corona Del Mar and then up along the bluffs overlooking the Upper Newport Bay Estuary Reserve, finishing at the Orange County Fair and Event Center. The course has a net elevation drop of about 30 meters. According ot the map posted by the OCHM, there is a gradual incline over the first mile followed by a rolling slope down toward the sea between miles 1 and 4.5, then a flat stretch until mile 7 when there is an incline, a 25 meter climb over half a mile. From 7.5 to the finish the course is roughly flat with a couple of dips, at mile 9 and just before mile 11. Conditions appear to be favorable for good times; the course is not record eligible so no records will be broken..At the end of online registration 88 runners are registered; the field is not large but there are strong runners in almost every division. AGE-GRADING. The top 5 returning men from last year's Masters HM Championship in San Diego in terms of age-grading are, in order, Fred Zalokar, Kevin Broady, John Gardiner, Kevin Zimmer, and Peter Mullin Although entered, Greg Mitchell has had to scratch due to hamstring issues. 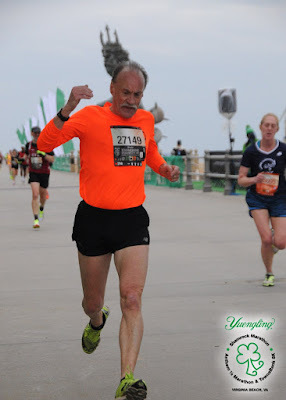 Mike McManus, who age-graded over 90% at the 8K Masters Championships in Virginia Beach could press them. But McManus has no recent long races, certainly nothing as long as a Half Marathon. So there is some doubt; he will probably have to crack the 1:14 mark to have a chance at the age-grading podium. The top returning women are Honor Fetherston¸ Kelle Taylor, and Kathleen Cushing-Murray, all in the high 80’s. 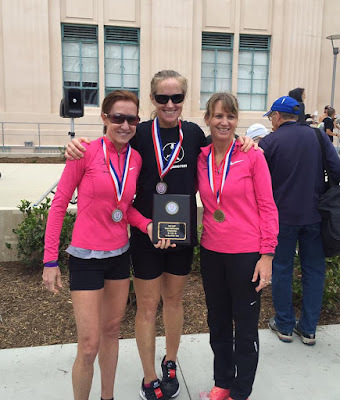 Championship newcomers, Doreen McCoubrie, 55, Suzanne Ray, 65, and Jeanette Groesz. 67, may be the favorites. Groesz’s recent Pear Blossom 10 Mile run in Portland in 1:17:14 age grades just over 91%. Ray's 1:39:21 in the Blue Diamond Almonds Shamrock'n Half Marathon in mid-March age grades at 90.92%. McCoubrie’s 31:10 8K at Virginia Beach age-graded at 92%. But will McCoubrie be fully recovered from a tough Boston Marathon this year? OVERALL. As far as the Overall race goes, David Angell, of the Roanoke (VA) Racing Elite will be trying for the trifecta. With victories at the 8K in Virginia Beach and the 10K in Dedham MA, Angell will be one of the favorites. But he will have to overcome his nemesis, John Gardiner, of the Cal Coast Track Club. In their two contests at the end of last year, the 5K Championship in Syracuse and the 15K Championship in Tulsa, the West Coaster had the edge. Their best recent HM times are quite similar so it should be another classic dustup. 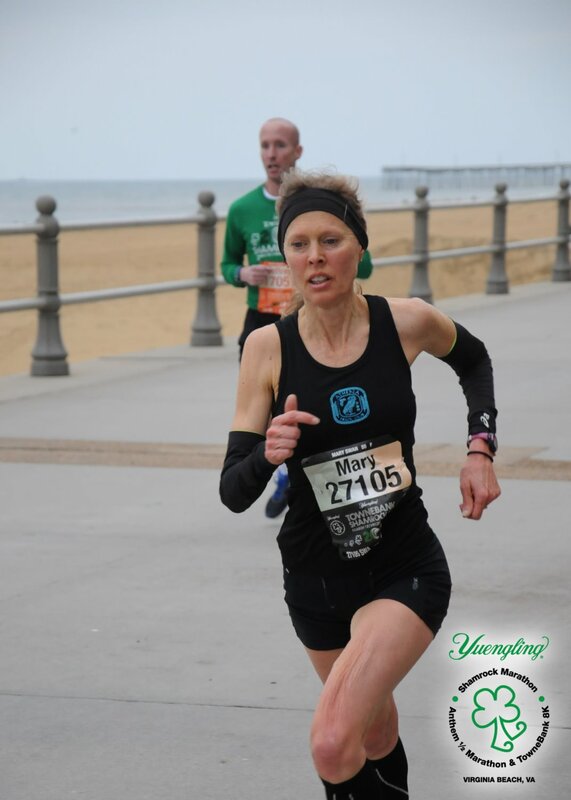 Angelll captured the Masters title at the Richmond VA HM last November in 1:09: 37. Gardiner took 2nd to Masters legend, Kevin Castile, in last year’s Championship in San Diego in 1:09:57. Orin Schumacher, of the Bowerman TC, will also be in the lead ppack, and could cause trouble if he is there with a few miles to go. He has run in two Half marathons this spring, clocking a 1:12:10 at the Cottage Grove HM and a 1:11:40 HM at the Corvallis HM, both in Oregon. Jose Merino will also press the pace. Two months ago he was the outright winner of the Tustin Hangar HM in 1:12:31, finishing 4 minutes ahead of his nearest competitor. He may be able to find the extra speed he needs in a more competitive environment. 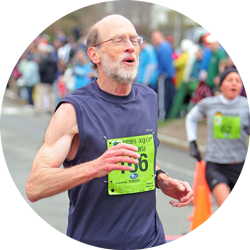 If Mike McManus knows how to translate his speed at races over 8K to 10K to a Half Marathon race, he could factor in the race for the podium. Brantley Lutz ran 1:11:58 here last year but his most recent HM is the Albuquerque HM which he ran in 1:14:21; that would make him a 'dark horse' at best. David Angell winning the 2017 Overall Masters crown at the 8K Championships in Virginia Beach. 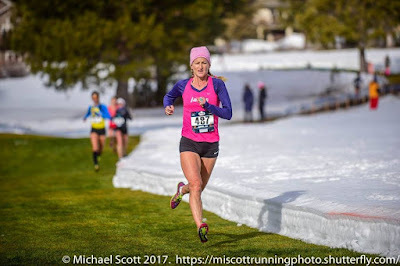 The top returning women in the overall contest last year are: Ingrid Walters 1:24:33, Kathleen Cushing-Murray 1:28:00, Mary Lynch, 1:28:27, and Kelle Taylor 1:28:53. Cushing-Murray is running much faster this year, however, a minute faster at the Brea 8K and at Carlsbad. That suggests an HM in the 1:26 vicinity. That still might not be fast enough for the podium. Walters has a 1:24:23 HM to her name this year as well as a minute faster than Cushing-Murray at the Brea 8K. Newcomers this year who could challenge Walters and the others include: Amy Halseth who ran 1:23:12 in the San Diego HM in March. Others who could factor into the race include other regional elites, Erika Aklufi, Donna Mills-Honarvar, and Keri Olson, all of whom have recent HMs in the 1:25 to 1:26 range. Women 40-44. Erika Aklufi of the Jane's Elite will go up against A Snail's Pace's Donna Mills-Honarvar and Cal Coast's Keri Olson. Mills-Honarvar has a 1:24:49 in a recent Half Marathon so i give her the edge but it is likely to be a real barn-burner. Aklufi has a 1:25:24 and Olsen a 1:26:01. Men 40-44. Gardiner, Angell and Schumacher are all in this division so the overall preview holds for this one as far as those three are concerned. Women 45-49. As I have already picked Amy Halseth and Ingrid Walters for 1-2 in the Overall Race I had best duplicate that for this divisional crown. Celestine Arambulo should challenge them and could move higher on the podium with a good day. Her best recent HM is 1:26:40, finishing about three minutes behind Halseth at the San Diego HM. Kerry May's best HM time is in the low 1:30's. If one of the three favorites has an off day, May could make it onto the podium. Men 45-49. The Cal Coast team has the three favorites in this division. Tony Torres ran 1:15:29 in the Masters HM Championship last year in San Diego and is the favorite. Only one other runner has a recent HM in under 1:20. Michael John Stanley ran 1:18:26 last year in that same race. But he ran three half marathons in the run-up to the Boston Marathon and all were in the 1:28 to 1:29 range. And he did run the Boston Marathon on a tough day only 3 weeks ago, so it is hard to say how much energy he will have for this effort. A third member of the team is Steven Frisone, who has very strong credentials in the 5K to 10K range, on the roads and on the XC paths, but I cannot find a recent race longer than 10K. He has the potential to be in under 1:20 but there is some risk due to taking on a much longer race than usual. Mark Steyvers ran a 1:18:24 in the Southern California HM this spring. Women 50-54. In this division, Mary Lynch of the Cal Coast TC will take on the Jane's Elite Racing trio, Kathleen Cushing-Murray, Tania Fischer, and Kelle Taylor. Last year in the Championship in San Diego, Lynch was sandwiched in between Cushing-Murray and Taylor at the finish, with a 1:28:27 to their 1:28:00 and 1:28:53. Fisher is, by comparison, the wild card. This is a long race for her. Nonetheless she has proven herself a very tough competitor in races up to 10K, especially on the XC turf. If she can hang with her teammates over the first part of the race, she can certainly be a factor. Cushing-Murray has been running very strongly over the last 6 months; she beat her 2016 times at the Brea 8K and at Carlsbad by about a minute. I would not be surprised to see her come in under 1:28. Men 50-54. Kevin Zimmer finished 2nd to Kevin Broady last year in 1:16:56 and ran a 1:17:32 in the Encenitas HM at the end of March. He appears ready to move up to Number 1. Jeff Creighton will challenge though. 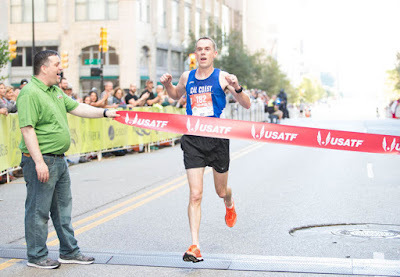 he ran a 1:17:06 in the 2015 Masters Championships at San Diego .The only potential challenge to those two would come from Mike McManus. The 26:38 he ran in the Masters 8K Championship 6 weeks ago would be the rough equivalent of a 1:12:32 Half Marathon if there were no fall off in age-grading from the 8K to the HM for McManus. Most likely there will be some fall-off as McManus does not typically run HM's, at least not recently. But he does have some room to work with. It does not like anyone else could challenge these three. Cal Coast's Thomas Schumann should ran 1:23:12 in the Masters Championship at San Diego last year. If anyone has an off day, Schumannn could work his way onto the podium. Women 55-59. The Athena Track Club's long distance specialist, Doreen McCoubrie, will make the transcontinental trip to challenge for the title. Even if she is not fully recovered from her 3:13:57 Marathon on a very tough day, it appears she should finish no slower than 1:35 or so and probably will run faster. Ordinarily I would expect her to be around 1:30 or under. No one else appears to be quite in that class. The closest would be her teammate, Mary Swan, who ran a 1:04:52 15K last October. That is Age-Grade equivalent to a 1:32:06. Their teammate, Margaret Sloan, could make it a clean sweep for the Athenas. 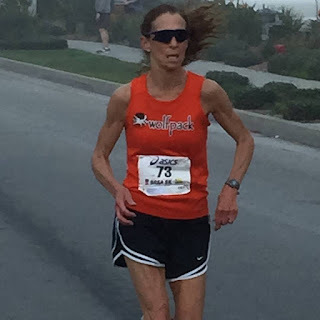 Although I can find no evidence of her running races longer than 10K, her 43:38 at the USATF Masters 10K Championship this past weekend is Age-Grading equivalent to a 1:34:26. Probably there would be some fall-off in Age-Grading but it is hard to tell how much.The two other contenders for the podium, who both run for the Impala Racing team, ran last year on the fast RnR San Diego course. Teresa Quan recorded a 1:40:24 and Janet Smith a 1:42:58. Those are fine times but Sloan has the potential to run faster than that. Men 55-59. Fred Zalokar is the defending Champion; he ran 1:16:28 last year. Unfortunately for Zalokar, Kevin Broady, who won the M50-54 division in 1:15:46, aged up into the 55-59 division and will be going all out for the win in his new age group. And Zalokar's 1:19:53 from the Aramco HM in Houston in January suggests that, at that point of the season, at least, he was a bit off his form. Broady, on the other hand, ran a 1:15:19 at the Southern California HM in January. Jim Zoldy, who finished 5th in the M50 group last year in 1:18:51, could factor into the race for the podium if either Zalokar or Broady has an off day. 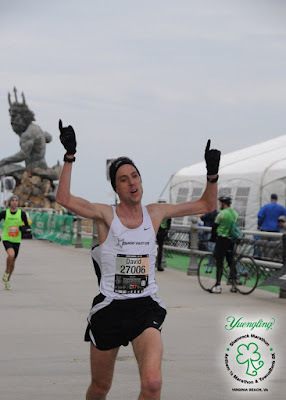 If his times in the Cherry Blossom 10 Miler in 2016 and 2017 are any indication, his current conditioning is about where it was last year at this time; he ran 1:00:45 last year and 1:00:46 this year. At the moment, that is it; only three entrants but they are all very capable. Women 60-64. Honor Fetherston is the defending Champion; she won in 1:37:49 last year. And her conditioning seems to be similar this year. She ran 1:37:55 at the Kaiser Permanente San Francisco HM in February and a 1:13:52 in the Credit Union Sactown 10 Miler. Based on a recent 50:17 10K and a 31:02 on the 6K XC course at Bend OR for the USA XC Championships, Joanna Harper could take 2nd. The one caveat to that prediction is that, like others in these championships, it appears this will be her first race exceeding 10K in distance. That makes any prediction a little riskier. Julie McKinney, on the other hand, ran 4:20:16 in the Big Sur Marathon so we know she has staying power. And her 10K time of 52:50 is only 2 minutes slower than Harper's time. Men 60-64. Perry Forrester and John Holcomb, Cal Coast teammates, took 2-3 in this division last year in 1:25:46 and 1:27:07 and will make a strong run at the podium. The owner of the fastest recent HM is Daniel Lillyman of Mahomet IL, who ran 1:24:08 at the RnR New Orleans HM in February. After that he ran a 1:28:41 at the RnR HM in Washington D.C. before running 3:53:23 in warm conditions at the Boston Marathon. Four days later he ran 1:26:36 in the Christie Clinic Illinois HM in Champaign Illinois. That should be enough to make him the favorite if he did not do himself any damage by racing so soon after Boston. I imagine Lillyman expected to run quite a bit faster at Boston and decided to be cautious. Therefore he had no trepidation about racing on the 21st of April. Greg Wilson ran a 1:01:31 15K, which is Age-Grade equivalent to a 1:27:38. Sheldon Subith could also factor in; he has run a few HMs and 15Ks but they are all trail runs. One might think trail runs would be slower than an equivalent race on the roads but some trail runs feature net elevation loss. He ran 1:28:40 at the Diamond Valley (trail) HM but 1:21:20 at the Pasadena 10 Mile Trail Running Challenge. I will go with Lillyman on the basis of the RnR NO HM and his Christie Clinic Illinois HM. Although Forrester could well rise to the challenge and win his way through to the Gold Medal. Women 65-69. Suzanne Ray and Jeanette Groesz, as the Age-Grading competition preview suggests, appear to be the strongest runners in this division. Ray's 1:39:21 at the Shamrock HM is unmatched by any of the competitors. 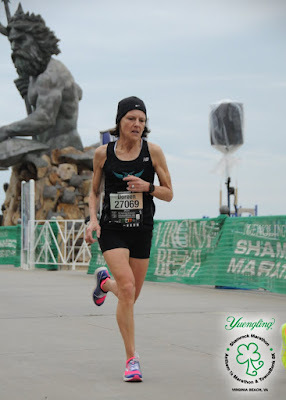 Groesz has not run a faster HM but her 1:17:14 at the Pear Blossom 10 Mile Run age grades just a bit higher than Ray's HM.Betty Wagner's 1:16:53 in a 15K suggests a 1:50-ish HM is a reasonable expectation. All three are on Oregon's Team Red Lizard so it could be a sweep of the division. Men 65-69. Peter Mullin is the defending Champion; he ran 1:26:30 here last year. That makes him the favorite; he has also run two sub-1:27 HM's this year. He ran 1:26:40 at the Aramco HM in Houston in January and a 1:26:36 in the HM at the WMA World Championships in Daegu, Korea. Lloyd Hansen would ordinarily be favored to give him a battle. A few years back running well under 1:30 was his norm, but he has been off his form this past year. He ran 1:38:58 in the Detroit Free Press HM last October, and a 1:36:04 in the St. George HM this January. That shows improvement but suggests a time much under 1:35 would be a good day. John Hirschberger has taken on three 10 Milers this year, in late Janaury, early March and early April, and has improved his time by about a minute each race with a 1:11:43 in January and a 1:09:24 at the Credit Union Sactown 10 Miler. That last time is age-grade equivalent to a 1:31:58 HM. Glen Colehamer ran a 1:42:12 in the Surf City USA HM and a 46:23 in a recent 10K. W70. Irene Terronez finished 2nd in this division last year in 2:21:45, but so far is unopposed. It looks like a finish is a win. M70-74. Eight runners will vie for this division championship. Richard Kutzner is the defending Champion; he won last year in 1:40:38 and has run a 1:40:47 in the Arizona RnR HM. He also took the 15K Masters Championship in Tulsa last year in 1:13:03. Paul Carlin (yours truly) was the 2014 Men's 65-69 HM Champion in 1:29:29 but that was then and this is now, as the saying goes. I have been up and down since then with repeated injury and recovery episodes since then. Kutzner certainly has the recent edge in longer distance races. I finished way back in Tulsa, due to a recovery set back. But frankly I have not broken 1:40 since the 1:30:00 I ran a couple of months after the 2014 Championship HM. I did manage a 1:11:35 at a 15K in January but the course, though not easy, was not as tough as the Tulsa course is right now. At shorter distances I have the recent edge over Kutzner, a little over a minute in the 8K in Virginia Beach in March and a little under a minute in the 10K last weekend in Dedham MA. That suggests the race might be close on Sunday. My main goal is to come out of this race healthy but, make no mistake, I will also try to win, if I can. Gene French may also have something to say about the outcome. He ran a 1:43:53 in the Humboldt Redwoods HM last October. French finished just 21 seconds behind me at Virginia Beach so he is definitely a threat to win it all. Unlike Kutzner, however, he does not focus especially on longer races. That HM appears to be his only race over 10K in recent years. M75-79. Malcolm Cohen and Andrew Sherwood are the sole entrants to this point. Cohen is rehabbing an injury and is not likely to challenge. His Physical Therapist has cleared him to run though. Sherwood ran the Snickers HM in 2:21:39, averaging under 11 minutes per mile. If he can run anywhere near that pace on Sunday he should take first place. M80-84. Richard Williams, the oldest competitor in the Championship at 81, is the sole entrant in this division. Last year he finished 2nd in 2:24:33. He will be looking to win this year. M40+ If Greg Mitchell's old hamstring injury not flared up, the Bowerman TC would have been strong favorites to take the crown in this division. The main other contender, the Cal Coast TC is without Christian Cushing-Murray so they would have been very pressed to stay with a Mitchell-led team. Even without him it will be tight but it appears if everyone runs their best, Cal Coast should have a slight edge. The Prado Racing Team will not be far off the pace but it looks like they are not quite strong enough to successfully challenge Cal Coast and Bowerman. Walters will need to build a bit of a lead for the Jane's to win it because it looks like May, Olson, and Rosing will be able to pack up a little more. W50+ This is the division with the most teams entered. Jane's Elite are the defending Champions but face three challengers this year, including one East Coast team the Athena TC, winners of the Masters Club Grand Prix in this division every year since its inception in 2012. It looks like the Jane's have the strength to repeat although a lot rides on Fischer who is apparently untested, at least recently, in such a long race. Cushing-Murray seems stronger than last year and Taylor should run her usual race. If Fischer can hang close to them, the Jane's should take the crown. Athena should be the closest. If McCoubrie is fully recovered from Boston and can throw down a a sub 1:26, it could get interesting. But more likely her legs are still a bit weary. Even if Swan can run around 1:32, though, Cushing-Murray and Taylor will likely have given the Jane's the lead, and then it comes down to Fischer vs. Sloan, neither of whom runs the longer races. But then Fischer has the edge in the shorter races. The Cal Coast team will probably not be able to stay with those two but has enough strength to take 3rd, leaving the Impala Racing team in 4th. The M50+, M60+, W60+, and M70+ divisions have one entry each.If the team has at least three members who finish, they will take the team trophy. Local favorites, Cal Coast, will take M50+ and M60+. Team Red Lizard has come down from Oregon and will go back with a nice set of medals and a winner's plaque. Atlanta's M70+ team has made a cross country trip and will be rewarded for their effort with a first prize and 100 points toward the Club Grand Prix title.